A couple posts ago, I gave you a ridiculously long list of opinions about how to treat acne naturally. Now, if you feel as lost as ever after reading it, I really can’t blame ya! You might be wondering what I thought about the list. Was there a nugget of gold that I picked out of that? Most of it was all stuff that I had heard before and lots of it I have talked about on the blog. Obviously some great advice – try eliminating or cutting way back on dairy; gluten; sugar, ditch commercial products, etc. Everyone’s different and this stuff is all good advice that may work like a million dollars for you. Well, essentially everyone’s acne is hormonal, so this title is quite misleading. In all cases hormones are what tell the body to create acne. And if they are doing that, and you have acne, it means that your hormones are not doing the right things. Acne isn’t, like, a normal thing that just happens for no reason. Hormones that do the right things don’t give you disease. And hormones don’t just do the wrong things just for the heck of it, they do it because of some other reason. Something is influencing them to mess up their jobs and give you acne. However, there is a lot of different things that can mess up your hormones, and a lot of different hormonal imbalances that can result. It appears like basically all and every hormone imbalance can cause acne, and unfortunately, I really don’t have them all exactly straightened out in order to explain them, or how to treat them specifically. It’s rather mindboggling, so I apologize. The best thing you can do if you want to know about your specific hormone issues, is to get a saliva hormone test done and talk to a natural therapist about an appropriate course of action for you. So, having said that – there is a specific type of hormonal acne in adult women that is very, very, veeerrry common, and while all acne is technically hormonal, this one has been dubbed and is often referred to specifically as “Hormonal Acne”. This acne usually occurs around the mouth, chin, and jawline in adult women (often can be cystic), and tends to appear or gets worse before menstruation and/or during ovulation. It’s usually accompanied by other PMS symptoms, and irregular periods. This type of acne is usually caused by something called estrogen dominance, where your estrogen and progesterone are not in balance, usually due to having high ‘bad estrogens’ (which we accumulate from the environment from things like plastic). The protocol I’m about to describe might also work with hormonal PCOS acne as I sometimes see that ladies with PCOS use the same supplements, but I’m not 100% sure of the details quite yet (until then, check out this amazing ebook on PCOS, because this lady DOES know her stuff when it comes to that). Also, this protocol should work for those who have acne due to coming off birth control pills (and if you are still on birth control but want to be off it, consider combining this protocol with weaning off it to lessen the chance of acne afterwards). With all acne, the first line of defence is to fix up your diet if you eat a lot of processed foods, get better sleep, lower your stress, and exercise. Switch to a gentle and natural skin care routine too, A generally unhealthy lifestyle is the biggest reason that anyone’s hormones are going to be out of whack and produce acne (no matter what kind of acne you have). For some people though – especially adult, female women with this type of acne – is that the diet and lifestyle improvements manage to make a huuuuge difference, but they can’t seem to get all the way to being clear, even though they feel like they’ve done everything. This has been my problem… over the last couple of years since getting rid of my severe acne, I have managed to maintain 90% clear skin, but I have still struggled with mild, cyclical acne breakouts around my chin that come and go. They have driven me up the wall and crazy, because nothing has seemed to work, and I’ve tried tons of stuff. Lol – you probably know this because I’ve whined about it a ton on my blog! My usual reaction to the anxiety of having this continued acne was to want to control my diet even further, or just be really strict about it. Which never did anything to improve my skin, but controlling my diet was a way for me to control my unpleasant feelings about the whole situation. Of course, in the end that only makes things worse by causing stress. So anyway… thanks in big part to Fran Kerr and Alexis Smart (the lady who posted about vitex, burdock, and milk thistle), my own experience, and a few other smatterings of info that have come on my radar lately, I’ve come to a few realizations that can really help the ladies out there struggling with the hormonal acne. It seems like hormonal acne just needs a little helper to get things back on track, and that can be either of these two supplements or taking them both. DIM (Diindolymethane) works by helping your liver to detoxify ‘bad estrogens’ from your body and promote good estrogen. Vitex works on your pituitary gland, and helps it regulate its own hormone production, which can get your progesterone and good estrogens back in balance (warning: most people do just fine on Vitex, but for some people with certain body chemistries, Vitex can have quite a few side effects. Make sure to do your own thorough research on the herb before deciding to take it. Also click here to read follow up post: Vitex Q & A). Estrogen dominance and the liver are very closely linked because the liver is where excess estrogen will get detoxified and swept out of the body via the bowel. With an inefficient liver, the excess estrogen will have the chance to recirculate throughout the body. So as I just said that DIM helps your liver to detoxify bad estrogens, a good liver supplement will also help this process along. Some might suggest doing the liver flush, but… I tried that, and it was a horrible, horrible experience, so I can’t say I really recommend it even though some people do get pretty great results with it. That’s one for you to make up your own mind on! Also – the liver is a big reason that improving your lifestyle will improve hormonal acne – the fewer toxins that it has to sift through, the better it can detoxify the hormones. Alexis recommends milk thistle for this purpose, but there are other ones too (also, don’t take milk thistle if you have a ragweed allergy). I use a mixed herbal supplement called Thorne SAT Liver Support that I had recommended to me by my Naturopath. Burdock root, that Alexis suggests, is also a supplement that supports the liver and purifies the blood from excess estrogens that are floating around. When you’re stressed, your body creates cortisol, which takes away from the proper function of other body processes, including endrocrine production. This is how chronic stress can lead to acne, since without proper hormonal production, the right hormones don’t get made and it shows up on your face. I’ve heard many, many women say that their hormonal acne gets so much worse when they’re stressed. Work on lowering that stress, including hidden sources of stress like low self esteem – and also stress and worry over controlling your food (which I will talk about in a second). Body stressors count here too like not eating enough food, following a diet long term that heavily restricts a certain macronutrient, and overexercising. This Stuff Has Totally Worked For Me. And I’m Totally Stoked About It. Me stoked to have clear skin. And a puppy. I’m not taking Vitex, but I’ve mentioned in a few other posts that I’ve been taking Estroblock, 3 capsules a day (Read here for follow up post: Estroblock Q & A, which answers many further questions about this awesome, wonderful supplement – including whether you should take the regular or Triple Strength Estroblock, and whether men and teenagers can also take it for acne). Estroblock is a very powerful form of DIM and one of the best brands of this supplement. I recommend it because I know that it works, and can’t really vouch for the quality or effectiveness of other, cheaper DIM supplements. I’ve been on it for nearly five months now. About a month ago, I decided to start taking Thorne SAT Liver Support and Burdock Root to really, really cement my results. Well, it took a couple of months from when I started taking Estroblock to really get consistent, but honestly, my skin has seriously never looked better and this is the longest it’s been consistently and entirely clear for, since… well… since I was on birth control as a teenager. I do still get very small pimples every once in a while, but I know my skin best and they are so small and infrequent and go away so fast that it doesn’t bother me at all – over all, I have been SO happy with it. Not only that but over the last 6 or 7 months, I’ve totally stopped caring so much about being perfect with my diet and have started relaxing way more (I’d like to give a big shout out to Matt Stone for this)… I mostly eat whole foods still because that’s healthy and that’s what I’m used to, but I go out for dinner more, I eat dairy and gluten and processed foods and sugary desserts with my friends and family (and sometimes at home too), and the best part is that I don’t WORRY about it when I eat things I would have formerly worried about. I mean, I used to do the 90/10 rule before too, and I’d eat processed foods sometimes, and I’d sometimes eat things that I believed due to all the nutrition stuff that I’ve read that I “shouldn’t” eat, but the big difference here is that this has been the first time that I’ve truly found myself truly, honestly, not worrying about it. It’s the first time there hasn’t been nagging fear at the back of my head. I haven’t felt this relaxed about food since before my acne got severe, so this lowered stress probably has contributed to the clear skin as well. Plus, I feel like I cleared out some old emotional issues by getting reiki done in the summer (which I’ll do a follow up on in a future post). Anyway… I’m stoked out of my head and feeling so great about finding something that has really truly worked to get rid of that last bit of acne that just wouldn’t budge. Knock on wood that it sticks, but so far so good. I hope this post helps the other ladies out there suffering with hormonal acne. Please share your experiences! What do you think of this protocol and have you found something that has made a big difference for your hormonal acne? [UPDATE] – For an updated, revised, and much more detailed version of this post, please check out my brand new ebook The Love Vitamin’s Guide to Female Hormonal Acne! Are you sick of clogged pores stuffing up your skin? Whiteheads, blackheads, and little bumps? Well you might want to listen up – I have managed to clear pretty much all the congestion off my forehead within a couple of weeks by doing a very simple thing that takes me less than 10 seconds a day. What Is It? What Did You Do? Well, if you’ve followed my blog for a while, you’ll know that I’ve been doing the caveman regimen for the last seven months. That means doing nothing to my face – no washing it, no moisturizing, no nothing. I don’t even let water touch it 90% of the time. This has reduced the amount of inflamed acne that I get, but I can’t say it has necessarily prevented clogged pores. I wouldn’t say it’s made it worse – I’ve always had some pretty persistent congestion on my forehead – but it hasn’t really improved it either. I’d been noticing that my forehead was looking particularly bumpy with whiteheads lately, which I assume is because I’ve been a bit more slacker with my diet over the summer. For me and many, it seems that forehead acne is linked to digestion. Anyway – I’ve really been enjoying not doing anything to my face at all on the caveman regimen, but I decided maybe a little experiment was in order. Well, I just got out my bottle of cold pressed jojoba oil that I had lying around from before my caveman days. Once a day, I’ve been putting a very tiny amount on my finger, and taking ten seconds to gently rub it into my forehead. I still don’t wash my face or do anything else. All I did was add this little thing in. Now almost ALL of the clogged pores on my forehead are gone, and it’s way WAY WAAaay smoother. Why Does Jojoba Oil Unclog Pores? Other oils may work to do the same thing, but jojoba oil is renowned for this particular task because it’s the oil that is the closest resembles our own sebum. So it gets in the pore, mixes with the hardened sebum plug, dissolves it, and unclogs the pore. It also reduces oiliness by tricking your pores into thinking it’s produced enough oil already. It doesn’t happen right away though. The first couple of weeks, nothing happened. 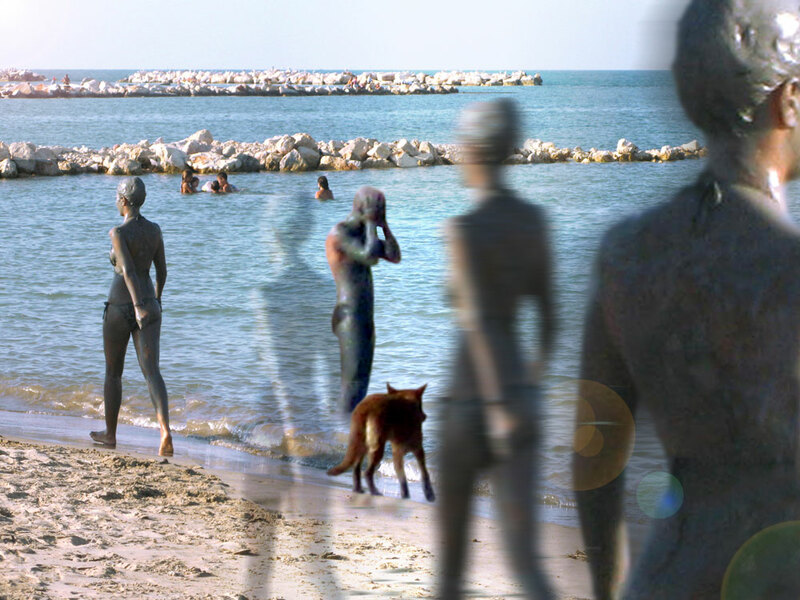 No improvement was to be seen anywhere. And many people often note that things seem to get worse when they start using jojoba oil – there is a purging period where they break out in tiny whiteheads and small pimples. Slowly but surely, things started to get better though. And it really works! It’s been three weeks now, and my forehead is so smooth. It’s great! After getting tons of feedback from people about jojoba oil, I get the impression that jojoba is best suited to oily-ish, prone-to-clogs skin types, as it can be slightly drying. That’s why it works so great on my forehead, which is this skin type. However, while jojoba doesn’t make it worse, I don’t think jojoba oil provides any miracles for my chin, which is more prone to dry, inflamed hormonal acne – not oily cloggy skin. Which is why I’m not bothering to use it on that part of my face. Read this article to get a better idea of which oils might be better suited for dry-ish skin types. Have you managed to find an effective way to clear your clogged pores? Share in the comments below. Why is that you always tend break out in acne over and over again in the same areas of your face? Why do you get cystic acne along your chin and jaw, but only blackheads and whiteheads on your forehead? Why do you have acne even though your skin isn’t oily at all? Why are your cheeks a mess, but your T-zone is pristine? It seems to be that where you get acne on your face, and what type of acne you get can give you some clues about what the root cause of it may be. If you know the root cause, you can treat your acne more effectively. In this article, I’m going to introduce you to three different resources I’ve come across that relate to this concept. The first one is Chinese face mapping, the second is a chart that Fran from High on Health came up with, and the third is a chart from the acne ebook ‘Diagnose Your Acne’. Keep an open mind about these things – none of them are 100% accurate, conclusive, or true for everyone. They’re just guidelines that may or may not be accurate for your particular case of acne. I hope you find them interesting and enlightening nonetheless! Now, in your travels around the internet looking for a cure for your acne, you may have already come across something called Chinese face mapping. Chinese face mapping is part of their ancient medicine system and is based on years of observation. It brings forth the idea that different parts of your face correspond to specific organs and body systems. 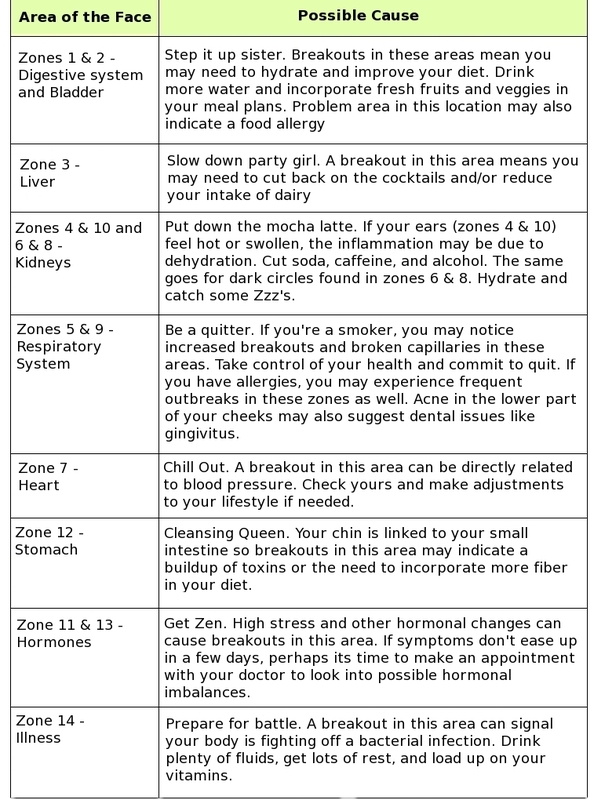 So checking out your problem areas could give you some clues to what the underlying imbalances are. This is an extremely popular concept right now amongst beauty gurus. And it seems like everyone on the internet has already written about it, but of course, all the interpretations seem to be slightly different. I have noticed a trend though, and one that goes best with my experiences. Example: chin and jawline = hormonal acne, forehead = digestion etc. I will share with you one example of a an acne face map that seems to fit well with this general theme that I’ve noticed. If you’d like more examples to compare and contrast, just google “Chinese Face Mapping” … you’ll come up with plenty! 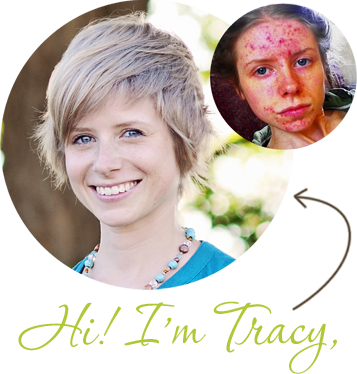 Fran is a blogger who has been working in the field of natural acne treatment for years. 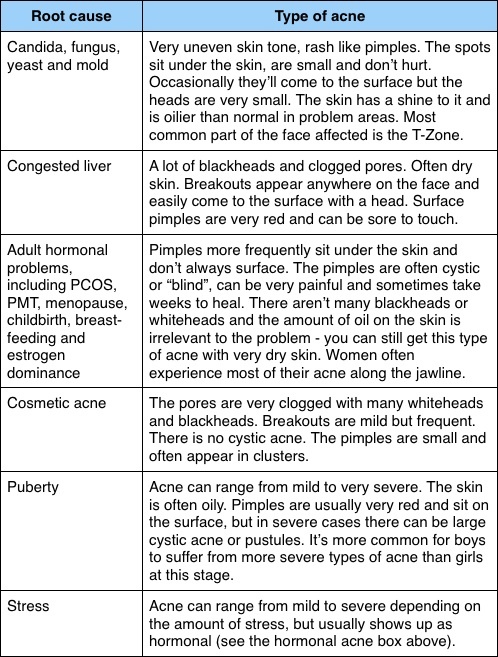 I found one of her older posts where she describes acne types matched with possible root causes. 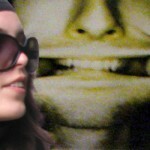 This is based on her personal experience, research, and from talking to her readers. 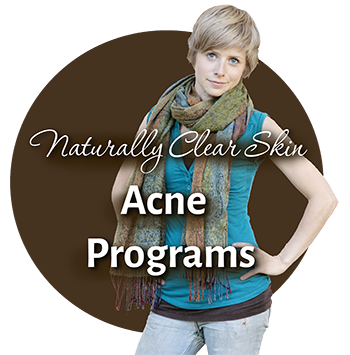 The following information is from the acne ebook Diagnose Your Acne, which is written by Australian naturopath and nutritionist Ananda Mahony. It’s an in depth guide that helps you do exactly what we’re doing in this article – figure out the root cause of your acne so that you can treat it more effectively! Do any of these interpretations match up for you? 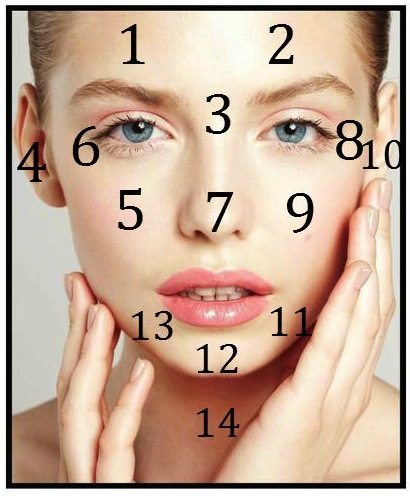 Tell us in the comments below about the wheres and whats of your acne and what you think the root imbalance is. Do you have oily, acne prone skin and wish it would just go away? I have a combination skin type with the lower half of my acne prone face leaning much more towards the dry side, and my forehead leaning toward oily – however, I’ve luckily never had to deal with a complete oil slick up there. But, sadly, I know some of you are battling some serious grease, and you want to know what to do about it. 1) STOP WASHING IT SO MUCH! I know this seems counter intuitive to everything you’ve ever been told about oil and acne prone skin, but washing too much and with harsh, drying products is probably making the situation much worse. Because sebum (your skin’s oil) is not inherently a bad thing. It’s there to lubricate your skin and protect it. When you constantly strip it of its oils, it learns that it must over produce it and it ends up producing so much that you kind of look like you smeared bacon grease on your face. Fun! So as crazy as it sounds, you really need to cut down on the washing and switch to super gentle, natural products. Absolutely do not wash your face more than twice a day. Personally, I’d recommend washing only once a day, or you can even quit washing altogether if you’re brave. For natural, non chemical, non drying products to use, I recommend manuka honey or just plain raw honey, or any of these natural options. At first, your skin will definitely be really oily and you may be crying to wash it, but DON’T DO IT! Soon your skin will learn that you won’t be stripping it bare assed naked against its will all the time, and will begin to naturally stop producing so much oil. PS – This trick also works for your hair. Hot water is super drying, and also irritating to acne prone skin. Using it will encourage over production of oil. So only wash your face with tepid water, and try to turn the heat down a notch in the shower if you can. If you have already cut back on all the washing and products and hot water, but still find yourself a bit oily, then you will have to dig further to resolve the problem. This is because oil production is triggered internally by hormonal reactions that are influenced by your diet and lifestyle. Improving your diet means cutting back on processed foods, eating more fruits and vegetables, and a few other tweaks depending on your situation. You may also want to try cutting dairy out of your diet for a while, as for many people, the hormones in milk products can have a big influence on acne and oil production. Other lifestyle factors to improve include getting more exercise, lowering your stress levels, getting more sunshine, and sleeping better. If you want more help with all this stuff (because it sounds oh-so-simple in a little paragraph like this, but obviously takes much more to really put into action), check out my ebook Ultimate Secrets to Acne Freedom. If your skin is already full of moisture, why bother putting more on there? Yes, yes, I know. Much like the tip about “stop washing so much”, it may seem completely counter intuitive to want to put MORE oil on your already oily skin. But despite what it sounds like, it’s not like dumping gasoline on a campfire. It can mix with the hardened sebum in your pores and dissolve it, allowing plugs (whiteheads and blackheads) to disappear for good. Think about it – oil and water don’t mix, so how do you expect it to get into your pores and unclog them? Oil can do that. Like dissolves like. My personal recommendation for an oil to use is jojoba oil. It’s especially suited for oily skin, and has a great track record for helping with acne. 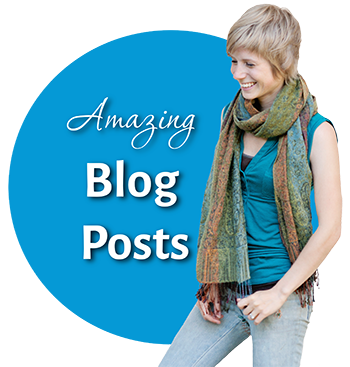 However, there are tons of other oils you can use, and so I suggest you read this article here for more ideas. This quirky little trick is inexpensive and easy to use, and you can find milk of magnesium at any run-of-the-mill pharmacy or drug store. Just shake the bottle, apply a layer to clean, wet skin, and rinse it off 5 to 10 minutes later. I made a video of all this for the youtube crowd, so if you prefer to watch rather than read, you can do that below. Note that it’s pretty much the exact same info as above, so don’t bother if you’ve already read it! Okay, I hope you enjoyed this article 🙂 Don’t forget to share it around the interwebs if you did. Do you have oily skin? If so, have you found a magic formula for keeping the oil away? 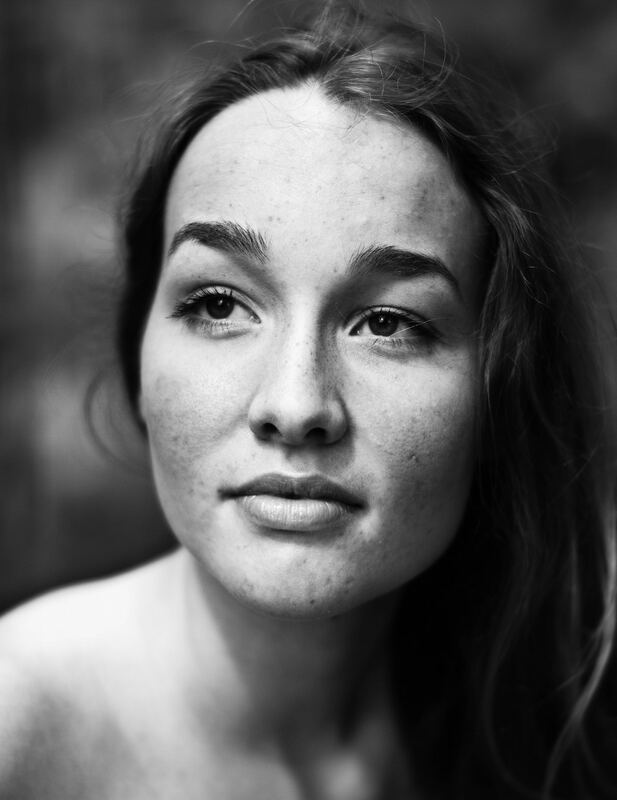 This is another epic guest post from my amazing (and funny, and smart, and talented) skin care correspondent, Svea. And good news! She’s started her own blog, so check it out here. You probably know that most commercial cleansers contain surfactants or emulsifiers – which is pretty much the same from a chemical point of view. Sodium lauryl sulfate (SLS), soap and even sugar tensides (a common ingredient in many organic cleansers) strip the natural lipid layer from the skin’s surface and destroy its protective barrier. In other words, they are simply too harsh for sensitive skin types like acne skin. I think that‘s the reason why you are looking for a safe and effective natural way to wash your face! The good news is that there are lots of home remedies you can try! It’s fun to do your own “spa treatment,” especially one that is beneficial! However, none of these natural face wash methods will make your skin feel as “squeaky“ clean as those surfactant-rich cleansing foams, creams and gels from your local supermarket. And that‘s a positive point! If your skin feels squeaky, your cleanser is probably too “strong” for you. Many people think their skin is not clean enough after washing it the natural way – but it is! I swear! Acne or no acne, switching to a gentle, natural cleansing routine means switching to something that it is NOT provoking inflammations and something that will NOT leave your face feeling tight, dry or looking flaky. You want something gentle for your skin, something that keeps it hydrated and minimizes the amount of moisturizer you need to use. A gentle cleansing routine won‘t cure your acne, eczema or other skin problems like a magic potion, but you can improve your skin‘s condition a lot by NOT slashing any more chemicals on it every single day. Treat your skin as gently as you can and never rub, pull or tug your skin! Above all you really don’t want to over-wash your face! It could be making your skin worse. Once or twice a day is enough. To avoid intolerances or even allergic reactions, always make a patch test on the inside of your arm before you apply stuff to your face – even if it‘s mild and natural stuff! So you want your own individual look? Try a full body clay mask! Clay draws toxins from the skin and can calm inflammations. You cannot only use it as a face mask, but also as a daily face wash. There are different types of clay: red, green or white clay, ghassoul (also called rhassoul) or healing earth. You can mix clay with water or other funny stuff like aloe vera gel, organic floral waters, organic full fat yogurt, kefir or buttermilk. It‘s simple, just like cooking. Get creative! However, please remember not to add too many different ingredients all at once! Try only one thing at a time to find out how your skin reacts to it. Apply the mixture to your face, leave it on for just a few minutes, then rinse. Don‘t let it dry!!! This cleansing method works especially well for oily or combination skins, however depending on which color of clay you use, all skin types can benefit. If your skin tends to be dry, add a few drops of oil. To enhance antibacterial properties, try to add a drop of lavender, tee tree or laurel oil, a teaspoon of manuka honey or a splash of apple cider vinegar. You can use clay as a mask for body and hair as well! Ghassoul is a fab hair wash alternative: applied as a mask, it strips the hair of chemical build up and other residues, absorbs oiliness almost like a sponge, makes your hair shine and adds volume! Don‘t massage it too much into your hair to avoid split ends. Don‘t try clay if you are allergic to nickel. Clay may contain traces of it. 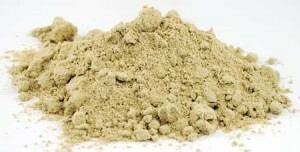 Orris root powder is really moisturizing, very gentle on the skin and smells just like violets! Mix with water (or yogurt, aloe vera, floral waters, … ) and apply in the same way as the clay mixtures. You can use it as a tooth powder as well! It might be a good alternative for those, who struggle with a severe intolerance or allergy to fluoride, SLS or mint oil (in the past, it has indeed been used as a toothpaste). Depending on where you live, orris root powder might be difficult to find. You can try to browse online shops selling herbs or ask in a pharmacy for it. For those living in the States, you will find it by clicking here. If you have very oily skin, chickpea flour might be good for you! Mix with water, floral waters, yoghurt, … and apply in the same way as clay or orris root powder. You can buy it in most Asian or health food stores! Yogurt, curd, kefir and buttermilk are the most natural surfactant-free alternatives to cleansing milk you can probably ever get your hands on! It‘s not just emulsified fat and water: Lactic acid harmonizes with your skin’s acidity, dissolves lipids and helps to remove dead skin cells. If possible, use organic (non-pasteurized) milk products. Massage gently into your skin, avoid the eye area and leave on for a few minutes. Then rinse. As a general rule of thumb, yoghurt and curd are a little more gentle to the skin than kefir and buttermilk. 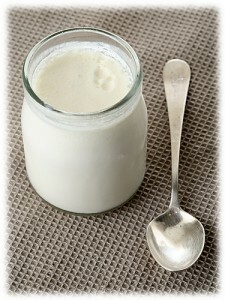 Especially buttermilk might be too strong for very sensitive skin types due to its high amount of lactic acid. For the same reason, it‘s a great exfoliator! Apply just a few drops of oil (jojoba, olive, argan, almond, apricot kernel, evening primrose, …) on a moistened cotton pad and gently wipe across your face without rubbing. Splash with water afterwards. If you aren‘t sure which oil could be great for your skin type, read the oils article first. This is no recipe idea! 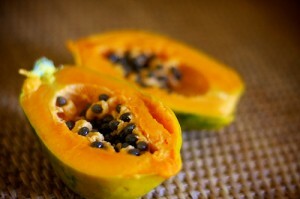 Fact is that papaya pulp, mashed avocados, cucumbers, mangos or bananas are fantastic skin cleansers. Fresh fruit contains enzymes which will remove dead skin cells, clear pores and resolve excess oil. I think most recipes below are too complicated to become an every day solution, but you can still consider them as a mask or treatment every once in a while! Be careful though, not every skin type can deal with fruit acid. Make a patch test first! Mangos can have a nice effect on your skin as well. Mangos are rich in vitamin-A and rich in antioxidants. Use in the same way as papaya! I‘m not a big fan of the oil-cleansing-method. For me it wasn’t great, to say the least. The first time I tried this method, I ended up with cystic acne. It was too harsh on my skin because of rubbing too much, because of using the wrong or too much oil and because of the very hot water. That‘s why I don’t think it‘s suitable for sensitive or inflamed acne skin, so please be careful! If, after all, you are still longing to try it, grab your favorite oil and apply some of it on your dry face in a circular motion. Use your fingertips. To avoid irritation, massage your skin in the most gentle way possible – or not at all, especially in the most inflamed areas. Massaging with oil can be very stressful for your skin and might spread acne bacteria all over your face. Just let the oil soak for about 20-30 minutes. Excess sebum will be removed anyhow and even some impurities might pop out. You don‘t even have to use olive and castor oil as described in most online articles. Castor oil might remove too much natural sebum from your skin, so your skin might produce even more sebum to protect itself. Try jojoba, hemp or grape seed oil, if you have oily skin. For dry skin, macadamia, canola or olive oil should work fine. Then, instead of using a very hot wet cloth to remove the excess oil, use a warm one pressing it gently on your face without rubbing. Repeat a few times. Don‘t use microfiber cloths, but only soft muslin or cotton cloths. Dilute a pinch of baking soda in A LOT OF water and splash your face with it. Rinse thoroughly with clean water afterwards. 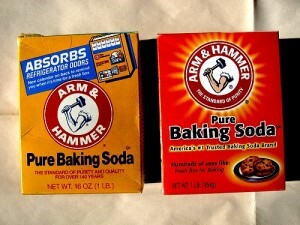 Don‘t use too much baking soda and never let the baking-soda-water dry on your skin! The granules are kind of abrasive when dry. By the way, the naturally occurring chemical compound sodium bicarbonate (baking soda = NaHCO3 = sodium, hydrogen, carbon and oxygen) can clean anything from your face to your pans and pots to your whole household. Give it a try! Raw organic honey is an extremely mild cleanser with antibacterial and moisturizing benefits! Simply apply, leave on for a few minutes up to half an hour, rinse. Be careful with your hair! Why is Manuka Honey So Special for Acne and Acne Scars? I Switched to Manuka Honey… Why Am I Breaking Out? Making your own natural skin care is a fabulous way to take care of yourself, save money and have fun all at the same time. Moreover, you can avoid harmful chemicals and other substances your skin might be reacting to and still have the advantages of a creamy and moisturizing product! All you need is a good oil, some water and a little bit of liquid lecithin. Lecithin is an emulsifier which is naturally occurring in egg yolks and oils (avocado oil contains a lot of it) and is really kind to the skin. You can vary the amount of oil according to your skin type: 20% – 40% work quite well. Sterilize a 1oz (30ml) glass bottle and any other type of equipment you might need (measuring utensils, spoons etc.). If you don‘t want to sterilize them with alcohol, boil them in a pot of water for at least half an hour and let them dry properly. Pour the ingredients into the bottle, put on the lid, shake, and it‘s done! If the oil and water components should separate after a while, just shake the flask all over again to re-mix. If that does not help, add another few drops of lecithin. You can also add a drop of your favorite essential oil, such as lavender, manuka, chamomile, neroli, jasmine and so on. Prepare only very small amounts, store in the fridge and use within two weeks (otherwise you‘ll have to use alcohol or preservatives). If you suffer from very dry patches you could try to add a pinch/drop of ectoin, allantoin, d- panthenol or lactic acid (online-shop/pharmacy). Many people take the 3 steps of cleansing, toning and moisturizing as a rule to be set in stone. In my opinion the benefits of “toning“ as it is generally – and commercially – understood are questionable, but here are some very gentle alternatives for those who like to have another refreshing kick right after cleansing! Yes, water! I‘m not kidding! Chlorine or limescale are a common cause of itchy, red, dry and flaky skin. So if your tap water happens to be very limy, try to use mineral, filtered (or at least boiled) water to splash your face. This might make a huge difference for some people! And, of course, water is a very natural and genuine toner! Guaranteed without perfume, essential oils and other unnecessary accessories. Aloe vera is an excellent choice, if you want to tone and hydrate your skin at the same time. Add one or two drops of oil to it to keep the moisture inside your skin! Aloe vera speeds the healing process and acts as an anti inflammatory to calm down your skin. It is also a must have home first aid remedy: apply to burns, slow healing wounds, grazes, bites and stings! 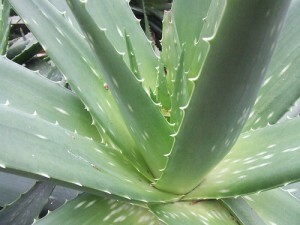 However, aloe vera products available in health food stores are not always equal in quality. Be sure that the aloe vera gel you purchase is organic and certified by the International Aloe Science Council (IASC). This label guarantees that your aloe vera gel is naturally rich in active polysaccharides and free from all kinds of skin-irritating stuff like pesticides and so on. Nevertheless, make a patch test first, if you have never tried aloe vera before! Some people are allergic to it. Floral waters are traditionally used in Ayurveda for toning the skin. Produced at high temperatures, they are somewhat acidic (with a pH between 5-6) and tend to inhibit bacterial growth. They are not however sterile, but a fresh product, just like food, and should be kept refrigerated. Always buy floral waters in a spray bottle (because of the same reason). Spray liberally over face and body after cleansing as a toner or throughout the day to refresh and hydrate your skin. However, be careful to choose the right type of floral water! Many hydrosols on the market are just water with a small amount of essential oils added and are some kind of a cheat! Make sure to choose a floral water made from a distillation as this extraction method retains the properties of the plant. Have a look at the Latin (or INCI) name. True floral waters will be listed as one ingredient, e.g. ‘rosa damascena distillate‘ or ‘rosa damascena water‘ for example (rose water). Water and essential oil blends are listed as two separate ingredients (e.g. 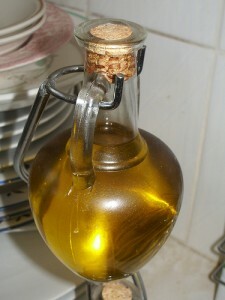 aqua, rosa damascena oil). Never use floral waters containing alcohol, as they will dry out your skin. Apple cider vinegar is a natural disinfectant with antibacterial properties. 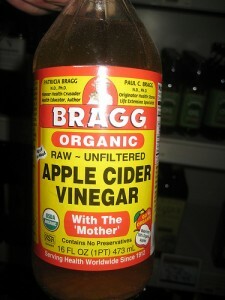 However, raw, natural, unfiltered and unpasteurized apple cider vinegar has some kind of “sediment,” called the “mother”, in it. Don’t be scared – that strange substance is good stuff and contains all the skin benefits! Go for it! Apple cider vinegar should always be diluted with some water so that it is much gentler on the skin! You can use it straight as a spot treatment though. To use it as a toner, mix one part apple cider vinegar with 8-10 parts (mineral) water and apply it on a cotton pad. Personally, I do not wear a lot of makeup. Just a few dips of concealer (usually a mineral concealer) and some mascara every once in a while when I want to get all dolled up, but not on an everyday basis. To get makeup off, the cotton-pad-and-oil method works really well. It‘s simple, but effective! Manuka honey mixed with oil (equal parts) is another great cleansing option, especially if you want to remove makeup. Even a yoghurt-clay-mix might do the trick, but you should leave it on as a mask for at least 10 minutes before washing it off. Ghassoul has an enormous cleansing strength and works almost like a sponge absorbing oil, dirt and bacteria at the same time. What Can You Use for A Natural Makeup Remover? You see, there are many great options out there if you want to cleanse your skin using all natural ingredients! So, in the end, which cleansing method is the best one? The truth is there is no single, perfect cleansing method. It is a case of trial and error to find the right method that really suits you. On the other hand, confusing as it is, you should never experiment too many different ways to cleanse your face at the same time! I know it‘s tempting! I know! We all are impatient and want to see immediate results. I‘m not different. However, your skin needs time to adapt and does not like to be confronted with too many different substances – even natural ones – at frequent intervals. So please don‘t overload it! That‘s all. I hope that helps! Take care, lovelies! What does your typical face-wash-ritual look like? Have you ever tried one of the above mentioned methods? Please let us know what your experiences have been so far! Let‘s talk about any kind of face-cleansing-stuff you are using, chemicals or natural stuff, and how you get along with it!